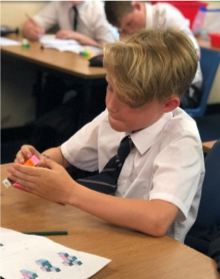 Become fluent in skills fundamental to mathematics, including through varied and frequent practice with increasingly complex problems over time, so that pupils develop conceptual understanding and the ability to recall and apply knowledge rapidly and accurately. Be able to solve problems by applying their mathematics to a variety of routine and non-routine problems with increasing sophistication, including breaking down problems into a series of simpler steps and persevering in seeking solutions. Students receive 6 or 7 hours of Mathematics each fortnight. Students cover the following broad areas: number; algebra; ratio, proportion and rates of change; geometry and measures; probability; and statistics. Within these areas, the aim is that all students become fluent in skills fundamental to mathematics, learn to reason mathematically, and develop the ability to solve problems by applying their knowledge, skills and understanding in increasingly sophisticated situations. In Year 7 students are taught in their tutor groups. 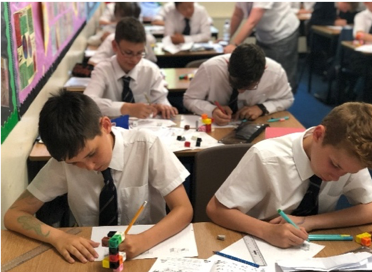 In Year 8 and 9 students are set according to attainment, based on their classwork, their achievement in assessments and performance on UKMT Maths challenges. The students are formally assessed at the end of the Autumn term, the end of the Spring term, and in their end-of-year exams. 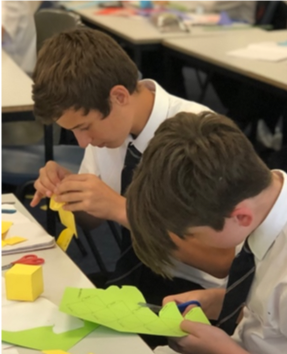 Students receive 7 hours of Mathematics each fortnight in Year 10, and 6 hours in Year 11. The examination board offers two tiers of entry: Foundation and Higher. At TBGS all students are currently entered at the higher tier and this enables them to achieve grades 9 to 4. There are three examination papers. Each paper will assess the students’ ability to use and apply standard techniques, reason, interpret and communicate mathematically and solve problems within mathematics and in other contexts. In addition, boys in set 1 will follow the AQA IGCSE Further Mathematics syllabus, which will be assessed by two papers of 1h45 each. 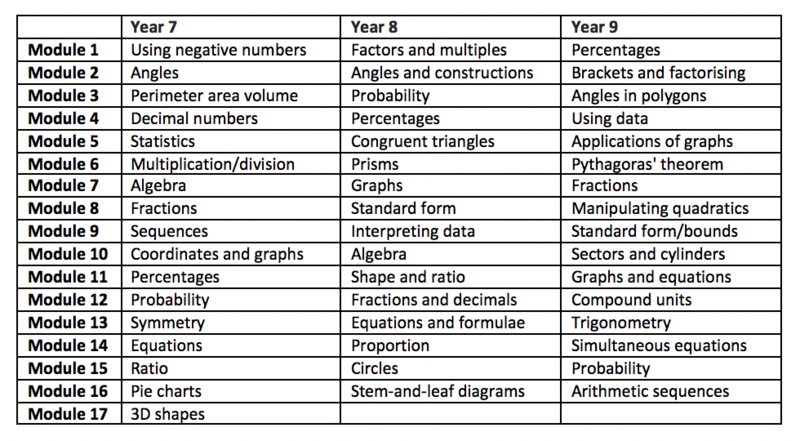 Boys are allocated into 6 sets in Year 10 on the basis of the mathematical competence shown throughout Key Stage 3. All groups will be taught the same syllabus, but there will be greater emphasis on the grade 8 and 9 material in the higher sets. Some movement between sets is possible once the course has commenced, in appropriate cases. This is a linear course, with all examinations taken at the end of Year 13. The A-level Mathematics courses offered at TBGS are designed to enable students to develop mathematical knowledge and understanding in a way which both increases their confidence to solve problems in the real world and their appreciation of Mathematics for its own sake. Emphasis is placed upon the ability to reason logically, develop mathematical proofs and use Mathematics as an effective means of communication. At this level, students should expect to experience Mathematics as a form of enjoyment in relation to its practical, aesthetic and creative aspects. A Level Mathematics: two modules of Pure Mathematics and one Applied Mathematics module containing both Mechanics and Statistics. 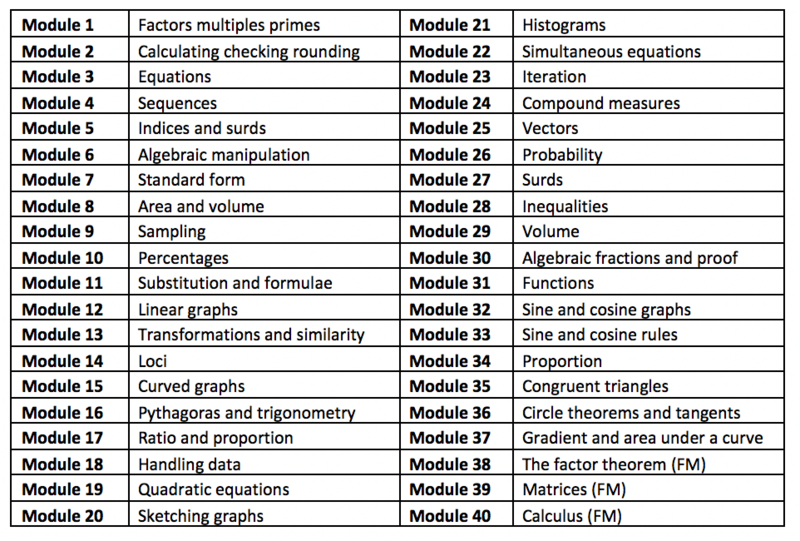 A Level Further Mathematics: full A Level, plus two Further Pure Mathematics modules and two Applied Mathematics modules, one in Mechanics and one in Statistics. Mathematics is a compulsory subject in the IB Diploma programme. The International Baccalaureate Organisation recognises that pupils will have differing backgrounds, abilities and needs in Mathematics, so with this in mind, there are different courses available. All IB courses allow pupils to have a coherent view of Mathematics, and also understand the history and development of Mathematics. Assessment in all 3 courses is made up of project work, worth 20% of the overall grade, and examinations which make up 80% of the overall grade. The examinations take place at the end of the second year of study. All courses include the use of a Graphical Display Calculator (GDC). Students will be required to purchase a GDC as this will be required during project work and examinations. Details of the appropriate model to buy and how to purchase this through school is provided at the start of the course. 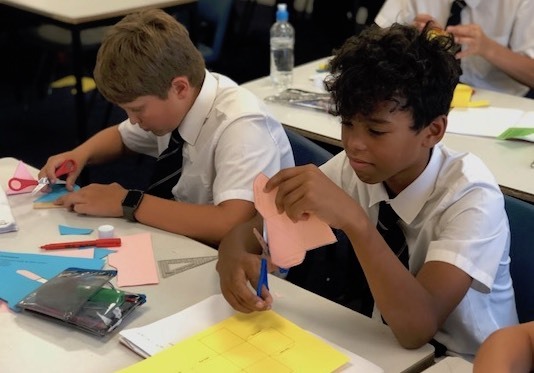 In Year 7, all students are entered for the United Kingdom Mathematics Trust (UKMT) Junior Maths Challenge, a national competition aimed at roughly the top 25% of students in each year group. In Year 8, there is an element of choice but most students are entered. 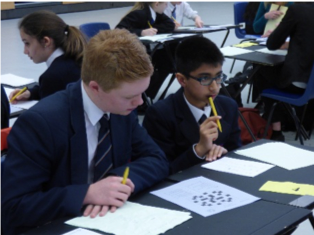 In Year 9, 10 and 11, a large number of students are entered for the UKMT Intermediate Maths Challenge. In Year 12 and 13, many students enter the UKMT Senior Maths Challenge. 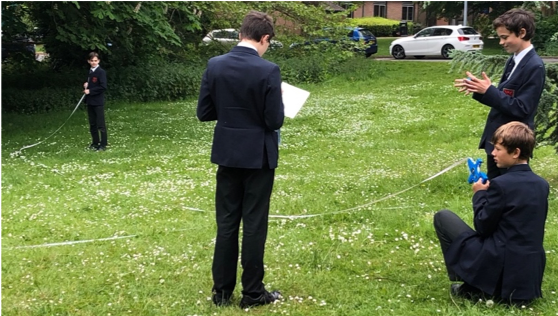 Each year, some students in Year 10 take part in a competition run by the Further Mathematics Support Programme (FMSP), which usually takes place at the Met Office in Exeter. 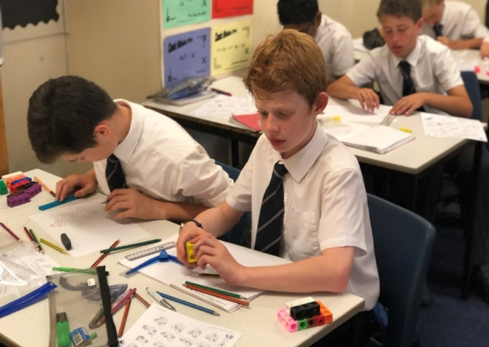 The TBGS Mathematics department runs a weekly Team Maths Challenge club, which prepares students in Year 8 for the UKMT Team Challenge Regional Final in March of each year and students in Year 12 also take part in a Senior UKMT Team Challenge.